Looking for romance with amazing views of Grant Park and Lake Michigan? The Blackstone is offering a romantic 1930s inspired stay with special treats like Vosges Chocolates, a complementary bottle of wine, hot chocolate body paint and breakfast in bed for two –available now through March 1st, 2014. The James Hotel is offering a “Table for Two” for a relaxing 3-day experience with dinner at the famous steakhouse David Burke’s Primehouse. The brand new Godfrey Hotel Chicago is giving you the chance to upgrade to a suite for just one dollar when you book a standard room. Or you could upgrade the Romance Package with a comped bottle of wine and breakfast for two, or head to the spa for total relaxation and a $50 voucher to OI Urban Roofscape. Check in at the Kinzie Hotel –this package has deluxe accommodations featuring in room floral arrangements, two tickets to the Untouchables tour and a $100 dinning credit to Keefer’s Steakhouse, Kinzie Chophouse, and the Tortoise Club. Not too far from Chicago, Galena is a town with loads of charm and home to Eagle Ridge Resort — currently offering a special on deluxe accommodations, dinner for two at Woodlands Restaurant, breakfast and, of course, chocolate covered strawberries for the perfect weekend escape. 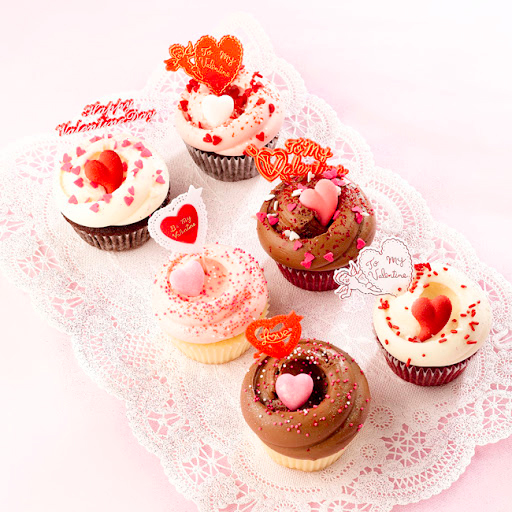 Head to Block 37 and enjoy some of the best cupcakes in town! 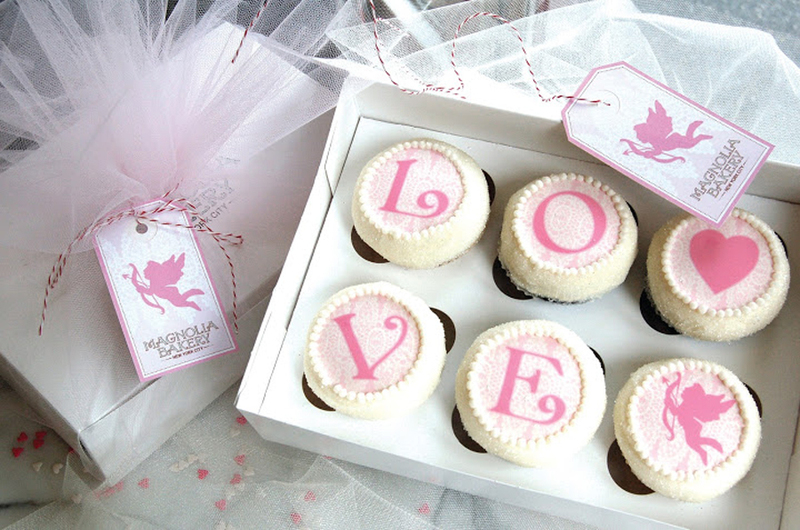 Some of my favorites for this season are The Love Note Box with six vanilla and chocolate cupcakes with butter-cream that says LOVE and Valentine’s Day Cupcakes that come in vanilla, chocolate and red velvet with chocolate or vanilla butter-cream with plenty of Valentine’s Day decorations. Enjoy French cuisine with a three-course prix fixe menu! BRASSERIE by LM has some excellent options– first; butter squash veloute with brioche and creme fraiche or duck confit lyonnaise salad, main dish; braised 5 hours short rib bordelaise or pan roasted lake trout and dessert flourless chocolate cake or homemade profiteroles. And, on Valentine’s Day, you can pre-order flowers to your table! Check out Factio Magazine’s ideas for the perfect fashion and beauty presents, that she’ll actually love.